Yeah…it might be time to call an expert. Winter can be harsh, even in the desert of Las Vegas. Of course, one of the great creature comforts we take for granted is a running heater, and few things are worse than having the heater go out during the winter months. If this happens to you, here are five tips that can help you out in a jam. It might seem obvious, but if you’re not getting heat from the furnace, your thermostat might be set too low. Start here first, and push the thermostat all the way up. If you’re not getting enough heat, check your air filter and make sure it isn’t too dirty. This simple task will do the trick in most cases. If the heater turns on and off frequently, it may be a problem with the blower motor, air filter, or thermostat. To troubleshoot, check each of these and see which might be the culprit. This could be one of two problems: check the thermostat to make sure it’s not set to fan permanently, or you have a problem with the fan control on the unit. 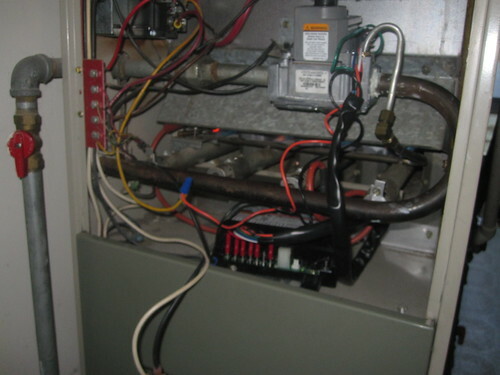 Furnaces are complicated systems, so don’t feel like you have to do it all yourself. If you can’t solve the issue with a bit of troubleshooting, it might be time to start looking for heater repair in Las Vegas. For more trouble shooting tips, contact Windy City Air at (702) 932-7284.